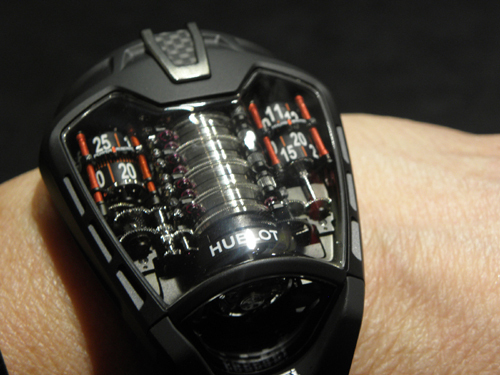 Hublot La Ferrari is a work of genius in the design and technology, with 50 days of power reserve. Just 50 pieces will be made. Approx. $345,000. 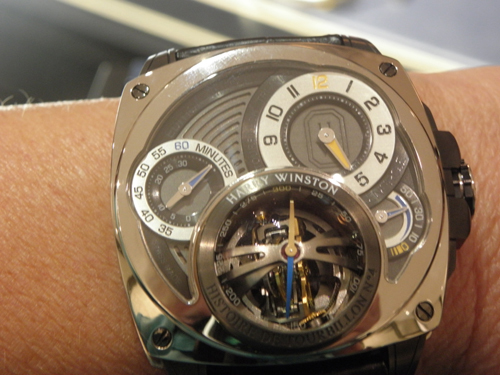 Harry Winston's Histoire de Tourbillon 4, created with input from Greubel Forsey, boasts a triple-axis tourbillon design. The first cage rotates once every 45 seconds; the intermediate cage rotates once every 75 seconds; and the outermost cage rotates once every 300 seconds. The 345-part movement is housed in a Zalium case. Just 20 will be produced. Approx.$696,600. 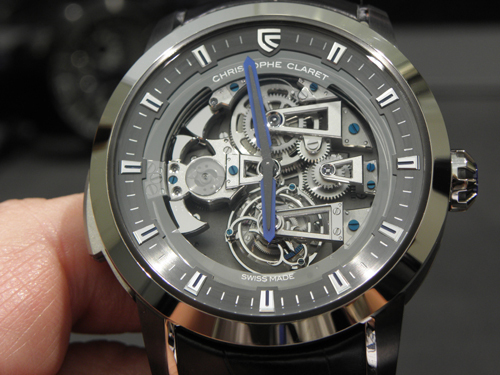 Christophe Claret Soprano: a 60-second tourbillon and a minute repeater with Westminster chime. It holds four patented cathedral gongs and four hammers. 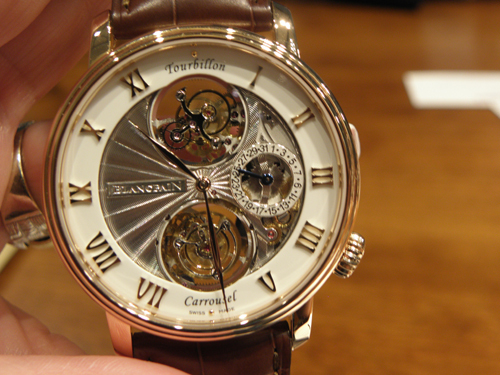 The movement has 450 parts, and the watch is offered in several versions. Approx. $500,000. 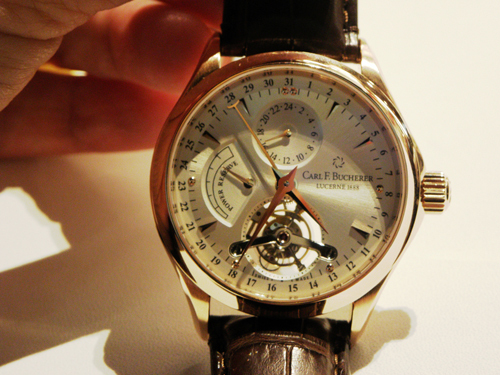 Carl F. Bucherer surprises us with its stunning new 18-karat gold Tourbillon – built in honor of the 125th anniversary of the Bucherer Group. The brand worked with APRP and just 188 pieces will be built. Approx. $100,000.